The Old Indian Defence is considered to be a sound way for Black to meet 1 d4. Some might argue that it is steady rather than spectacular, but is this reputation totally deserved? Grandmaster Alexander Cherniaev strongly disagrees, and in this book he introduces ambitious and aggressive ways for Black to play in the main lines. He constructs an improved version of a repertoire he has himself utilized with great success against grandmaster opposition. Using illustrative games, he studies the fundamental tactical and positional ideas for both sides, and also covers what to do if White avoids the Old Indian. 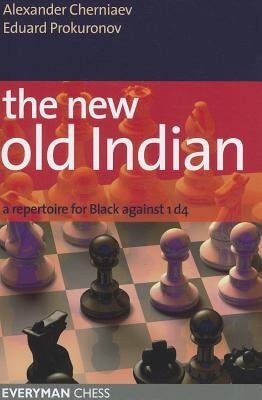 This book tells you everything you need to know about playing the New Old Indian. Alexander Cherniaev is a Russian Grandmaster, journalist and author. He's a very experienced player and has enjoyed numerous tournament successes, including winning the silver medal at the Moscow Championship and competing in the prestigious Hastings Premier Tournament. Eduard Prokuronov is a FIDE Master and a many-time Champion of the Arkhangelsk region of Russia.